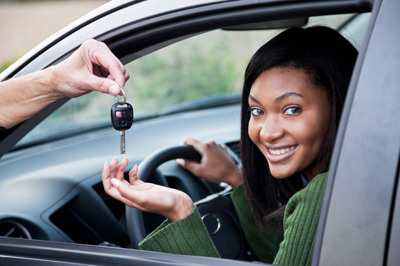 We are able to take our students from start to finish with our driving program. This includes Motor Vehicle Department approved permit and driving certifications! Call (602) 840-2323 for more information and to schedule an appointment! What is included in your evaluation? Our evaluation lasts about three hours and consists of a clinical evaluation including vision, visual perception, physical abilities, and cognitive testing. A behind the wheel driving evaluation is then performed, including a trial with adaptive equipment that you might need. There is also discussion at this time about best types of vehicles to be purchased. Please do not purchase a vehicle prior to being evaluated. Let us know if you are getting a new wheelchair. If adaptive equipment is required, we will also consider what adaptive equipment will be best for you. How long does it take to go through the entire driving process with new drivers? This varies greatly depending on the person. Normally it takes about 3 months from start to finish (including evaluation, receiving permit, completing training and receiving driver’s license). No. Medicare and other insurance companies do not view driving as a medical necessity. However, many of our students are eligible for help with funding through Vocational Rehabilitation. To see if you are eligible for their services, please contact the Vocational Rehabilitation office nearest to you. We require pre-payment at the time of scheduling typically with a credit card. How much driving training is required before I can receive my driver’s license? If you are a new student driver: The Arizona Motor Vehicle Department requires that students between the ages of 16 and 18 who have their permit must have a minimum of 30 hours of daylight driving training and 10 hours of nighttime driving before they can receive their driver’s license. However, the amount of driving training that we spend with you will depend on how much you need to become a safe and proficient driver. If equipment is involved it usually takes longer. Normally, this is somewhere between 30 and 50 hours of driving training. Other driving training including rehabilitation with or without adapted equipment: This depends on the person and the driving evaluator will discuss this with you after the initial evaluation. Can my parents do some of my driving training with me? This depends on the person. We can discuss this when you call us. Please contact our office at (602) 840-2323 to see if this would be an option for you. I haven’t driven in a while. Should I practice before I come to the evaluation? Do not practice prior to coming. Especially if your license is no longer valid! What do I bring to the evaluation? Prior to scheduling, fax your physician’s prescription for an “Adapted Driving Evaluation”. We cannot make an appointment until we have the physician’s green light to begin. We also welcome recent therapy reports or notes and a neuropsychological report to better evaluate. You need to bring your Permit if you have one or your Arizona ID. We must see the wheelchair or powerchair if you use one and let us know if you are getting a new chair. We must see your vehicle you drive if you have one so bring it to the evaluation. Do not purchase one ahead of the evaluation so we can advise you on your purchase!